Not every state is equal when it comes to the earning potential of general dentists. For dentists in training, average incomes can be an important consideration when planning for life after graduation and the location of a future practice. As the number two job in a list of the country’s 100 best, according to the U.S. News & World Report Rankings, dentistry is a fast-growing and in-demand career. Dental school graduates have the opportunity to find work in every part of the world where there are smiles to maintain, giving general dentists many options and locales to choose from. Explore the 10 most profitable states in the U.S. for general dentists, according to the 2017 data gathered by the U.S. Department of Labor Bureau of Labor Statistics. As a newcomer to the top 10 highest paying state rankings, a general dentist in the Ocean State nets an average of $99 per hour. However, this small state is also ranked among the states with the 10 highest costs of living nationwide in 2018. Nevada has fallen two spots since 2017, despite their average annual salary increasing nearly $15,000 since then. The cost of living in this hot tourist destination falls somewhere in the middle of its rival U.S. states, with the more expensive West Coast on one side and the much cheaper midwestern states on the other. Ranked 10th in 2017 and now climbing, Minnesota general dentists have experienced an annual increase of nearly $17k over last year. More than 1,600 dentists now call the land of 10,000 lakes home with 60 percent of those in the Minneapolis-Saint Paul metropolitan area. This seventh-spot state didn’t make the cut in 2017 but now takes the place of Nevada. Like most of the New England states, the high cost of living here can offset high average salaries, but a location between Boston and New York keeps this densely populated state popular. More than 1,200 dentists serve the state’s 3.5 million residents while making almost three times the median household income. Relatively high-ranking Wisconsin maintains its ranking as number six in the top 10 highest paying states for general dentists. Approximately 2000 dentists work in this great lakes state and “America’s Dairyland,” maintaining the smiles of nearly six million people. 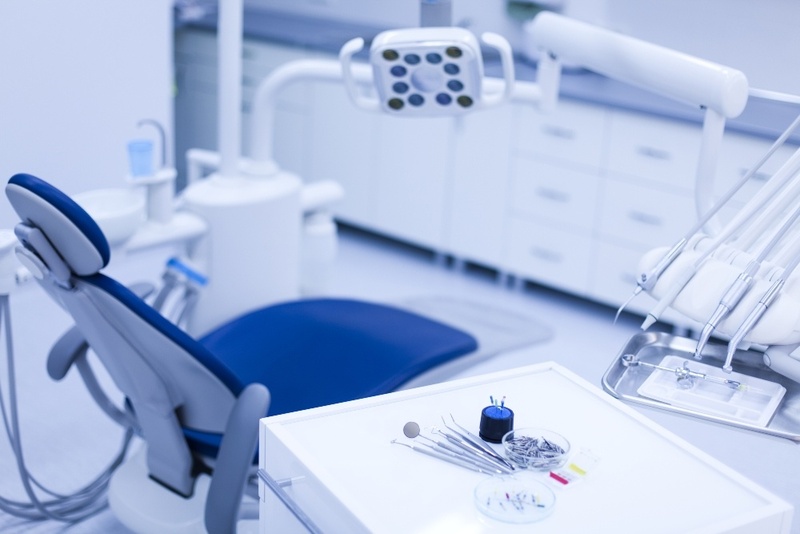 With a middle-of-the-road cost of living and a mean annual salary that’s more than four times the average household income, Wisconsin can be an economically sound choice for practicing dentists. Last year’s runner up, the Granite State has only increased their annual salary by less than $2k. So, it’s no surprise they’ve been surpassed by states with much more aggressive annual increases. More than 510 dentists work in this coastal Northern home of 1.3 million people. This growing technology hub has risen three ranks this year, adding more than 50 general dentists and 10k to their average annual salary. North Carolina also has the advantage of a low cost of living and a mild climate, making it an attractive home to insured professionals of several tech-based industries and the large companies that employ them. About 10 million people and more than 3,000 dentists work and live among this state’s cities, suburbs, mountains and 301 miles of coastline. With a $20,000 annual salary uptick since last year, this remote state maintains its ranking as the third highest paying state in the U.S. for general dentists. For the adventurous dentists willing to relocate to the extreme conditions of Alaska, competition is low and annual wages are high. (But so are moose-related traffic accidents.) This state has the fewest residents as well as the fewest dentists in the entire country, just 200. Another northern state making its way up the list by two rankings is North Dakota, a high-paying, but sparsely populated state that tied with Alaska for the fewest number of dentists. Those 200 general dentists serve about 755,000 people while earning nearly five times the state’s average income. Maintaining its elite place as the state with the highest income for general dentists, Delaware has increased its annual salary by $30,000 since last year, the largest jump on our list. Despite a high cost of living and dense population, this state’s steep salaries have attracted an elite 380 dentists to serve it’s population of nearly one million people.